Wosene Worke Kosrof, America — The New Alphabet, (2017). One of the most exciting features of Art Dubai is the Ethiopian art on show, as the country’s leading gallery, Addis Fine Art, brings two notable artists to the emirate in a thoughtfully curated collection. While the annual art fair – like its home city – is as multicultural as it gets, this is the first time Ethiopian art has made an appearance, with the hope of building an international audience for the country’s burgeoning arts scene. While Ethiopia has a rich and ancient art heritage – dominated primarily by religious art led by the Ethiopian Orthodox Church, until around the middle of the 20th century, when secular art started to be created – the arts have certainly made a resurgence in recent years. 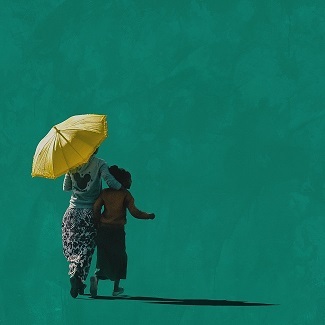 Girma Berta, Moving Shadows II, I, (2017). According to Rakeb Sile, co-owner of Addis Fine Art: “The number of Ethiopian artists invited to participate in art fairs and to show their work in prominent galleries and museums around the world today is unprecedented. International collectors are noticing and buying, while local collectors are also spending significant amounts on artwork, which was unthinkable just a decade ago. Getting to this point hasn’t been easy, however, with the geopolitical challenges that the country has faced for decades. “Soon after the transition from church-influenced art to modern expression occurred, the political revolution from the early 1970s onwards greatly inhibited artists’ ability to practice freely along with their counterparts across the continent,” explained Mesai Haileleul, Rakeb’s partner and co-owner of Addis Fine Art gallery. Girma Berta, Moving Shadows II, II, (2017). However, thanks to the persistence of dedicated members of the art community and institutions such as the pioneering Alle Felegeselam School of Fine Art and Design, today there is a growing number of gifted Ethiopian artists practicing their craft across various media, and enjoying increasing interest and appreciation from the global art world. One such artist who has had a significant impact on the current scene is painter and sculptor Wosene Worke Kosrof. His journey of becoming an artist back when “it was not viewed as a viable occupation” to be exhibited around the world — including at the Smithsonian National Museum of African Art in Washington, DC — and being considered a vanguard of modern Ethiopian painting, can be considered a metaphor for the Ethiopian art movement, in fact. 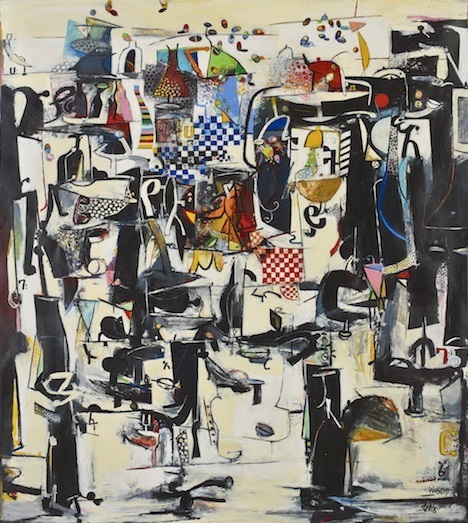 He represents the old guard of Ethiopian painting with his use of Amharic script forms as a core element, which he often combines with abstract influences from the American Modernist movement. “I want to present to international audiences something of the richness and complexity of Ethiopian culture. However, my artworks are not just about Ethiopia; they are about our shared human experience. American jazz is also a major influence and inspiration in my work,” said Wosene. 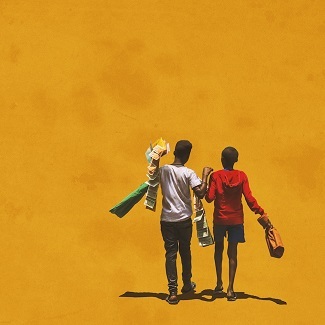 Offering an appropriate counterpoint to his seminal works will be young photographer Girma Berta, whose signature style of creating painting-like images of solitary figures set against vivid backdrops has rapidly garnered international acclaim. The Instagram-savvy millennial artist effectively portrays the new Africa, one that is in the midst of a digital revolution. 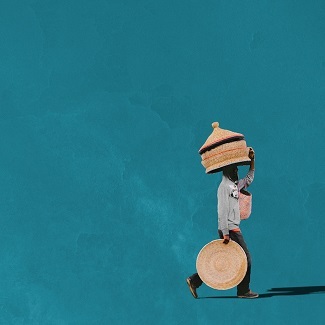 Girma Berta, Moving Shadows II, X, (2017). It will, no doubt, be a story that many aficionados at Art Dubai will want to hear. Copyright © 2019 Ethiopian Tribune. All rights reserved.